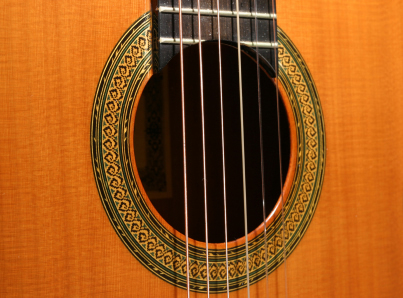 A pavan was a stately, procession-like dance and Luis Milan wrote six pavans for (solo) vihuela. Feel free to enhance with colour and dynamic changes; an ornament here and there would also add some spice. This piece makes a great wedding processional - "Here comes the bride..."